Pregnancy is a magical process. You bring new life into this world and become a parent in nine short months. Pregnancy, though a wonderful process, can also completely wreck your body. In just a few months you could go from being a good weight to ballooning up before you know it. The main issue with pregnancy weight is that it is hard to get rid of, and it takes time to fully return to your original weight. But, have you ever asked why pregnancy is so demanding on the body, and why the weight almost never really goes away? During pregnancy, it is completely normal to gain anywhere from 30 to 40 pounds. Despite what you might think, all this weight is not the baby. The baby only accounts for about six to eight pounds of the weight in your belly. The rest of the weight is actually your body’s natural way of preparing for when the baby is delivered, as well as when the baby requires breastfeeding. In fact, your body naturally gains 15 pounds to prepare for birth. For example, the placenta, amniotic fluid, and uterus, all grow and make up at least six pounds of your weight. When your breasts fill with milk for breastfeeding, you will also gain at least two pounds in pregnancy weight. The last seven pounds is stored as body fat in order to prepare your body to store nutrients for breastfeeding. The American Pregnancy Association has reported that, on average, women can gain 25 to 47 pounds of pregnancy weight during the nine months of development. These numbers will depend on your original weight. For example, underweight women won’t gain as much weight as overweight women. However, it is important that underweight and overweight monitor their weight and make sure to maintain a healthy diet. For overweight pregnant women, it is not recommended to lose weight during pregnancy; however eating healthy is highly recommended, no matter your weight class. Why Is It So Hard to Lose? Losing pregnancy weight is one of the hardest tasks to complete. But why? Well, for one, once you have a baby, you won’t be thinking about yourself. Most of your thoughts will be consumed by the baby and all of your attention will be directed to taking care of and loving your child. Because you will most likely be lacking in free time, you will rarely ever be able to go to the gym. You also will have less desire to be away from your baby for the first few months. Once babies get a little older, around six months old, you will be able to take more time away from them. Even once you reach the point you can be away from your baby for an hour or two, you probably won’t want to go to the gym. Pregnancy can add a lot of pounds to your belly, which can make exercise very difficult. You also haven’t worked out in probably a few months, so your body will have gotten out of shape. Losing weight when you are pregnant can be a challenge because of the lack of time and desire. More importantly, you will have gained a large amount of weight that will not magically go away. Many times, mothers get frustrated by the length of time losing weight takes. This often results in them giving up and keeping their weight. Losing weight for women, any weight, is an immense challenge. Women always seem to work twice as hard at the gym, with only a fraction of the benefits. However, with persistence, the weight will disappear. If you have motivation and an excellent gym facility, you can work to lose your pregnancy weight. If you live in the Woodstock, Georgia area, you have a great resource at your fingertips — BodyPlex Fitness! Our gym was built to help motivate our customers to reach their desired weight and complete their goals. At our gym, we have a wide range of equipment and classes for you to utilize to get back to your pre-pregnancy body. At BodyPlex, we provide our members with several workout classes, which differ in skill level and difficulty. Taking a fitness class is a great way to work out, meet new people, and motivate yourself to work hard to achieve your goals. Much of the reason new mothers should attend our group fitness classes is because our courses provide accountability. Mothers will be pushed to persevere throughout their workout and coached by our on-staff trainers. If you do not want to work out in a social setting, such as in a fitness class, you can always work with one of our personal trainers. In our personal training courses, new moms are given special one-on-one fitness coaching. This can be advantageous to you, because you will have a coach motivating and organizing your fitness plan throughout your sessions. 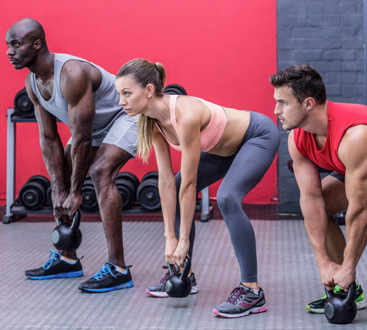 Because our trainers will be monitoring your progress, you will be able to clearly see where you have improved, and what workouts you need to utilize. If you have any injuries or requests, your trainer can also adapt your workout to adjust it to your comfort level. This way, you will be able to achieve the body you wish to see, without hurting yourself. Our trainers will also help you work through your challenges and provide you with the motivation to see your goals achieved. If you still have your pregnancy weight, now is the time to stop making excuses for yourself. Get back your body or make new improvements to your physique with BodyPlex. 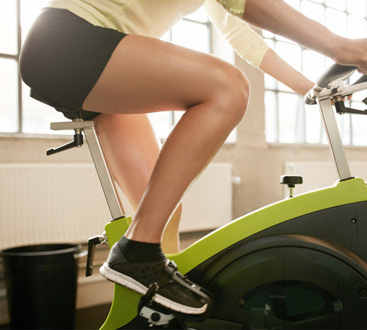 Our gym is perfectly equipped to help you on your path to getting rid of your unwanted weight. Our kind and experienced staff can assist you through the process. Better yet, BodyPlex is a fitness center with child care, so you can bring your little one with you when you go to workout. No more worrying about your little one while you are away! Losing weight requires dedication and patience. 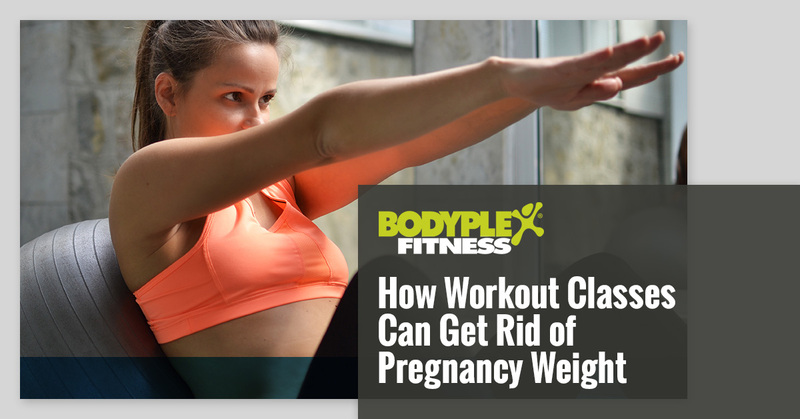 At BodyPlex, you can work to lose your pregnancy weight in no time. Contact us today!